I know this seems an odd choice for this day in particular, because Edvard Munch is an artist whose work has become shorthand for something disturbing. If we believe anxiety to be the 20th century sickness, then he is its expresser-in-chief. He was a wonderfully expressive painter, a romantic who swore to ‘paint living people who breathe and feel and suffer and love.’ Munch lived through the first wave of psychoanalysis, and Freud’s focus on the self and our expressions of its hidden natures encouraged the rediscovering and repetition of childhood trauma. 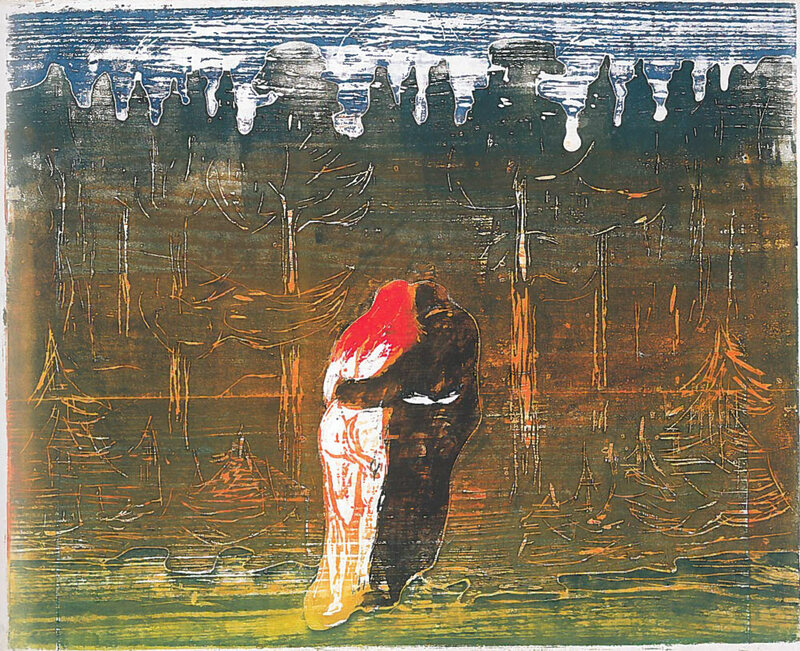 When I went to see the Munch exhibition at Tate Modern last year, Munch’s paintings of his childhood – his dead mother, his neuroses, his failures – are relentless and exhausting. The thing which I took with me though, when I left, was something different – these two figures in Towards the Forest. This work is refreshing partly because it doesn’t look for answers in that circular, internal and painful way much of Munch’s work did. You could say it’s one of the few works of his in which the self is allowed to relax, is made strong enough to disappear. There’s something moving about this version of the work too, a kind of emotional bravery in these two figures facing the woods alone. Valentine’s Day in many ways is awful, but it is at least a day when many people make themselves vulnerable, and are brave because of it. 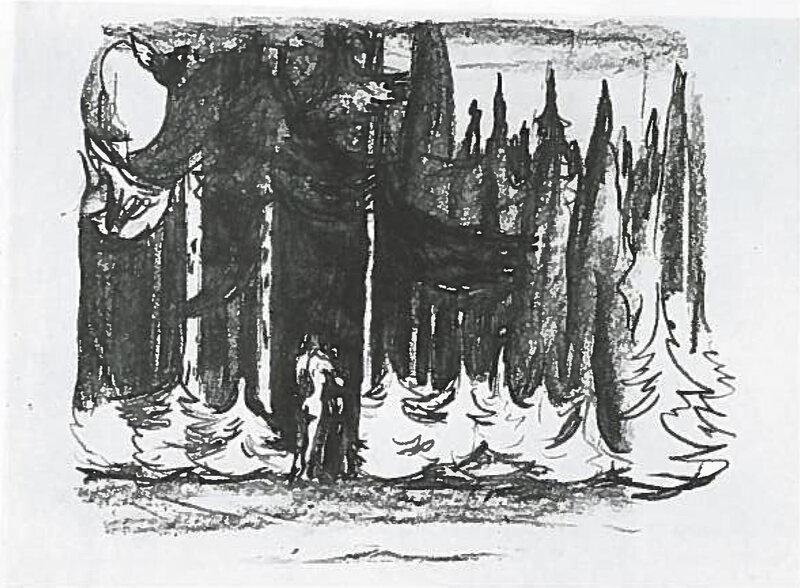 Munch was Norwegian, and in Scandinavian folk culture, woods and enchanted forests are at the centre of a rich mythology which ranges from Freya’s chariot being pulled by Norwegian forest cats to trolls in the night and wood-women (the Hulga) who seduce and destroy stray men. Woods, as they always have been, are places of shape-shifting – where identities are fluid and threatened, where little girls are followed by wolves and the trees take on life. There are warnings here – Valentine’s Day, if we mean it at all, shouldn’t be just about giant teddy bears. The red hair of the woman in this version, probably painted when Munch was in Paris at the turn of the century, indicates that it is his lover Tulla Larsen – a wealthy aesthete who fell into a mutually destructive affair with Edvard. She ended up shooting off his middle finger with a revolver – something to act as a reminder of the darker side of love for the rest of his life. 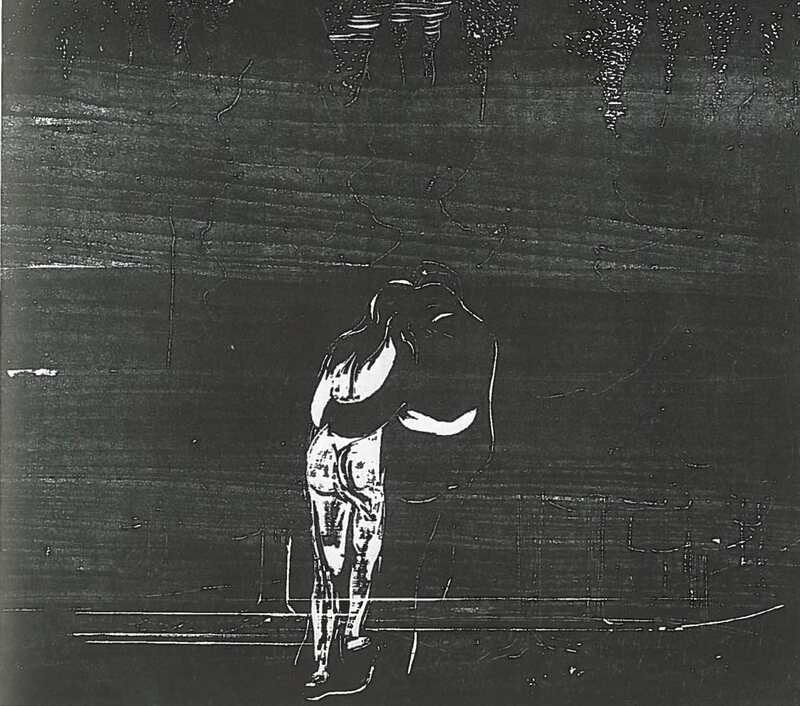 But love is supposed to be enduring, and Munch made beautiful woodcuts of these two figures in The Kiss, sometimes as separate lovers, sometimes merged together, sometimes clear and sometimes not, delicate and primitive, for most of the decade. In doing so, carving and painting with his 9 fingers, I like to think he found relief from the traumas in his past. And this is something we all look for in others, perhaps today especially. 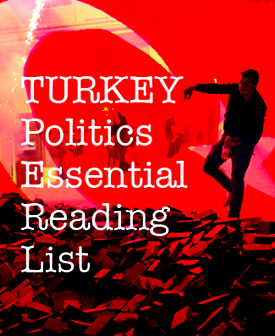 Tags: Edvard Munch, Hulga, Love, Painting, Tate Modern, Towards the Forest, Tulla Larsen, Valentine's Day. Bookmark the permalink.